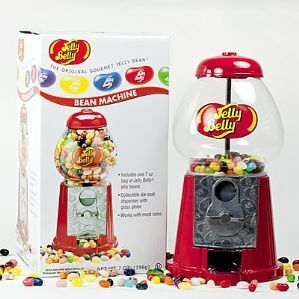 Jelly Belly Mini Bean Machine Dispenser . This Mini Jelly Belly bean dispenser is coin operated - just insert a coin (any suitable sized coin will do) and twist the knob - out comes your beans. Handy savings box to save up for your next supply of beans. Dicast mechanism and glass globe. 25cm tall. 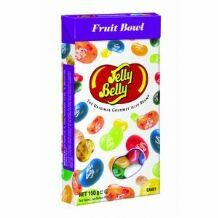 650g capacity. Beans not supplied.